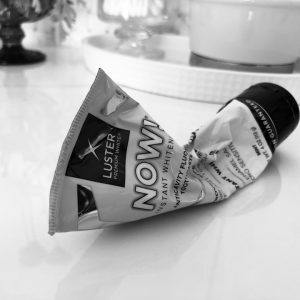 Got a wiggly slippery tot? 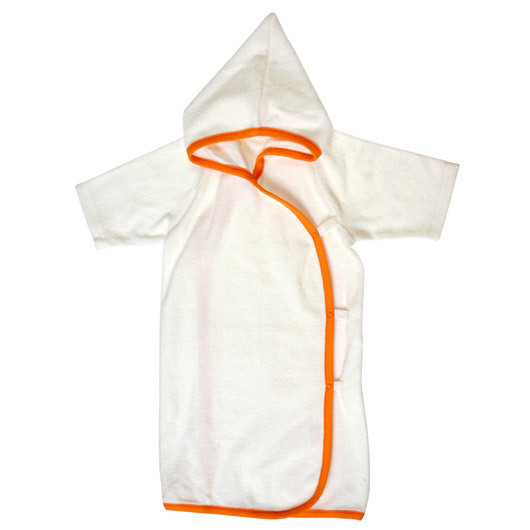 This hooded bath kimono will make sure you get a handle when scooping him out of the tub. No more trying to wrap the towel just so to make sure his entire body is covered, this long kimono provides full coverage. You can safety take him to his changing table to get dressed knowing he is snugly and sound. This is also the perfect pool robe because no matter how heated the pool is, he is always turning purple from the freezing cold coming out of the water. 100% organic cotton with a delightful bright orange trim, at Giggles $32.